US forces are stumbling from one disaster to another in Afghanistan. The latest is the killing of at least 16 Afghan civilians by an American soldier in Kandahar province, the spiritual seat of the Taliban. It comes shortly after the American burning of copies of the Koran that set off a week of riots across Afghanistan in which some 30 Afghans were killed. This latest incident is set to heighten anti-American sentiment in the country, with serious repercussions for the international forces and their Afghan partners. President Barack Obama and the commander of the International Security Assistance Force, General John Allen, have profusely apologised and promised an immediate investigation. The perpetrator is described as a rogue soldier, who recently had a nervous breakdown. This is unlikely to placate many Afghans, especially in the ethnic Pashtun-dominated areas of southern and eastern Afghanistan, where the Taliban-led insurgency is at its peak. Nor will it deter the Taliban from capitalising on the incident to once again castigate the US and its allies as infidel occupiers, and the Karzai government as their stooge. It is also bound to add to the complexity of the new strategic partnership that Washington and Kabul are currently negotiating to establish the parameters for US military-security involvement in Afghanistan after the US and its allies have withdrawn most of their troops from Afghanistan by 2014. While Karzai will find it expedient to become more demanding in the negotiations to show that he is not an American lackey, the Obama administration may need to make more concessions to Karzai, despite the fact that he has proved to be an incompetent and untrustworthy partner, who has continued to preside over a corrupt and dysfunctional government for more than a decade. Rogue actions in conflicts are not unusual. There were many during the Vietnam War and the Soviet occupation of Afghanistan. The present US-led military involvement in Afghanistan has not been free of them either. An American soldier has just been convicted of premeditated murder of three Afghans two years ago. American and ISAF troops have also been killed by rogue Afghan soldiers for one reason or another. However, what makes the latest incident alarming is that it has been enacted by a soldier who had a nervous breakdown, and yet was still on duty. He committed a massacre in a zone of insurgency where the Taliban had not been active for six months. Inhabitants across the region now will become more receptive to the Taliban than ever before. It is most unfortunate that after some $450 billion in military expenditure, more than $60 billion in reconstruction costs, and 3000 foreign troops, mostly American, killed, and thousands of Afghans sacrificed, stability, security and good governance still elude most Afghans. The biggest question that will confront the US and its allies by 2014 is: what was that all about? If it was for the purpose of destroying al-Qaeda and its harbourers, the Taliban, this objective has not been achieved. Osama bin Laden is dead, as are many of his ranking operatives, but the network remains operative, especially in Pakistan, Iraq, Yemen, and Somalia. As for the Taliban, the US now wants to negotiate a political deal with the militia. If it was for rebuilding and securing Afghanistan, this goal is nowhere near fruition. The country continues to teeter on the verge of the return of the Taliban to power and civil war, with the prospects of Afghanistan’s neighbours intensifying their scramble for influence. Amin Saikal is professor of political science and director of the Centre for Arab and Islamic Studies at the Australian National University and the author of Modern Afghanistan. Osama bin Laden and Muammar Gaddafi dead; Hosni Mubarak and family behind bars with millions of dollars of assets frozen; President Ben Ali of Tunisia sentenced to 35 years in absentia; the Bosnian war criminal Ratko Mladic awaiting trial in the Hague. We can take a moment to recognise that sometimes things go astonishingly well – the removal of these five characters from the picture is a blessing. Whatever doubts we have about Gaddafi’s death and the absence of due process (if you can’t even decide where to bury a man, it is a good rule not to kill him), his death is a bracing lesson for the likes of President Bashar al-Assad of Syria, who is torturing young demonstrators to death, and President Saleh of Yemen and King Hamad of Bahrain, both of whom are drenched in the blood of their countrymen. The knowledge that just 12 months ago Ben Ali, Mubarak and Gaddafi all looked untouchable must cause the goofy-looking butcher of Damascus and his fragrant missus to clutch at each other in the wee small hours. The Nato intervention was right and I would say that now, even if it had not gone so well for the rebels in the last three months. At the time the decision was taken, I was in Tunisia, in the stunned aftermath of Ben Ali’s departure, looking up the timeline of the Srebrenica massacre in July 1995, when General Mladic separated the men from the women and young children and went on to murder 8,000 people. Benghazi, the eastern city where Gaddafi did his military training, was as vulnerable as the Bosniak enclave. His mercenaries would have created a bloodbath if they had not been driven from the outskirts as the first air strikes began. I wasn’t optimistic – Libya seemed too vast, Gaddafi too cunning and the rebel forces hopelessly amateur. And there were doubts whether air power alone could achieve the result that it did. But after 26,000 air sorties and 9,600 strike missions, and a lot of blood spilled, the regime is no more and David Cameron and Nicolas Sarkozy can quietly take a bow. Both are nimble politicians, yet it is not unduly naive to believe they were influenced by the memory of what happened in Bosnia. There is always a basic moral requirement to intervene, but any decision to act must gauge risk and the likelihood of achieving success. The seemingly pragmatic considerations also contain a moral element, because the interventionist obviously has an obligation not to inflame local opinion or create a situation worse than the one he is seeking to alleviate. These conditions were met in Libya, yet there was the additional incentive of the country’s “sweet, light” crude and the reserves of 46.4bn barrels, which have nothing to do with morality or Srebrenica. Stage two of the Arab Spring begins today with elections in Tunisia for the Constituent Assembly, in which the Islamist party An-Nahda, led by Rachid Ghannouchi, is likely to do well. This is the first big test for the west because we have to allow the people who risked everything on the streets to develop their own politics and democratic processes. Nor should we allow ourselves to be spooked by what happens in the Egyptian elections on 28 November, when the Muslim Brotherhood’s well-organised political wing, the Freedom and Justice party, is expected to trounce nascent secular parties. Admittedly, this will not be the greatest outcome. Quite apart from the Islamists’ failure to reconcile their declared support for rights and civil liberties with the deeper convictions of religious authoritarianism, the generation of devout men likely to take power is hardly equipped to address, or properly understand, the problems of the young people who took to the streets Tunis and Cairo. The thing that so few have really absorbed about the revolutions is that they were generational – the young rising against the tyranny and corruption but also the incompetence of their parents’ generation. The first demonstrations in the Arab Spring occurred in the Tunisian provincial city of Sidi Bouzid, where a young man set himself on fire because officials confiscated the fruit and vegetables he was selling without a permit. Like so many of his contemporaries, Mohamed Bouazizi, 26, could not find proper work. Youth unemployment and the grinding lack of hope are the source of the most serious social and political problems across the Arab world. The unemployment rate among Tunisians under 25 is about 26%. Half of the 60,000 graduates released on to the jobs market every year will not find work. These are the well-educated and highly organised single young people who had nothing to lose during the uprising and have gained very little in material terms since. To grasp what happened in Tahrir Square, you must know that 54 million of Egypt’s population of 82 million are under 30 years old and this age group makes up 90% of the country’s unemployed. The very highest rates of joblessness are among the well educated. The UK’s median age is 40. Across the Arab world, it hovers in the mid-20s. In Egypt, it is 24.3, Libya 24.5, Tunisia 30 and Syria 21.9. Factor in regular unemployment rates in the Middle East of 25% among the young – even in the rich Gulf states – and you know that we are only at the beginning of this particular story. The sophistication of this new generation of Arabs should not be underestimated. They require far more than sermons about prayer and clean living from middle-aged chaps to make lives for themselves in the 21st century. They will need freedom, empathy and technocratic as well as political leadership to create the jobs that will ensure stability and peace. When you talk to these educated young adults, as I did earlier this year in Tunis and Cairo, it is striking how well they appreciate that democratic change depends on job creation. Yes, they declare their faith, but it’s a given – not something they want to go on about. If the west wants permanent change in North Africa, we have to recognise the potential of this new generation and find ways of providing stimulus and investment, even as we struggle to create jobs for our own young people. That is the only intervention open to us now and in some ways it is much more demanding. In Libya, the guns need to be put away, a national army and police force set up and proper courts founded. The first test of the new civil society must be to give a scrupulously honest account of how the former dictator met his end. The new republic will not be served by a cover-up and by spokesmen for the National Transitional Council lying through their boots. As the graffiti that appeared in Tripoli this weekend reads: “Clean it up and keep it clean”. In the end, it does not matter whether Muammar Gaddafi was executed due to an order by members of the Libyan Transitional National Council leadership or whether he was killed at the hands of a vigilante mob in the run up to his capture and death. There is no question that initially there was confusion Thursday when unconfirmed reports out of Libya stated that Gaddafi was captured. However within a few hours news came that he had been killed during a battle between the rebels and forces loyal to Gaddafi . Sure enough, within another hour it was confirmed that Gaddafi was killed as mobile phone videos appeared showing a bloodied Gaddafi dazed and confused as rebels jostled all around him to get a piece of the brutal dictator that they had known for more than 42 years. Exact details are presently murky in regards to his capture and death but it appears that during a battle in Gaddafi’s hometown of Sirte on Thursday morning, Gaddafi’s convoy was spotted by NATO drone aircraft and surveillance and was reportedly fired upon by French air strike on a road fighter jets killing a few dozen fighters. Gaddafi escaped with a few of his bodyguards and was found hiding in a sewage pipe with a couple of his bodyguards by a huge mob of rebels. Hours later, the world saw footages of a severely wounded Gaddafi being held up and surrounded by rebels begging for mercy. Reports sate that he was shot and killed during the crossfire between rebels and his loyalists. And yet there is a sense that he was executed either by those that captured him or by order of the ruling Transitional National Council. Regardless of how he was killed, more important questions need to be asked. 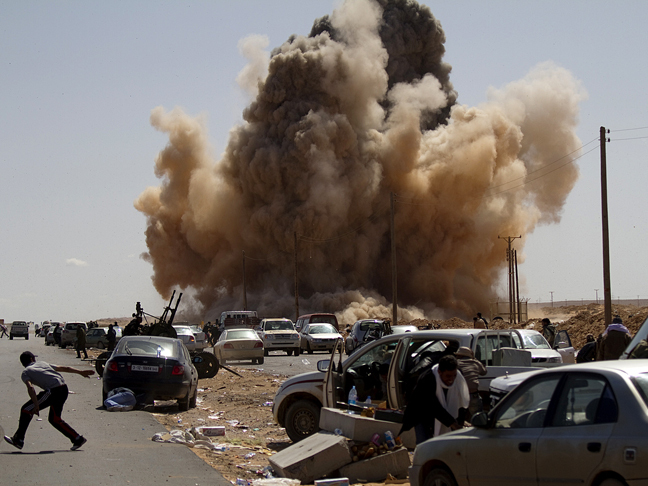 What happens next in Libya? How will a government be formed for a country that is effectively starting over from scratch? This after all is a country that had been held hostage by a dictator for nearly half a century and it is going to need lots of international assistance in transitioning into having an effective and competent government, one that is far better that what the people of Libya have lived under for so long. And how will the Arab Spring and this momentum affect the tenuous situation in several other Arab capitals dealing with their own unrest and near civil wars. 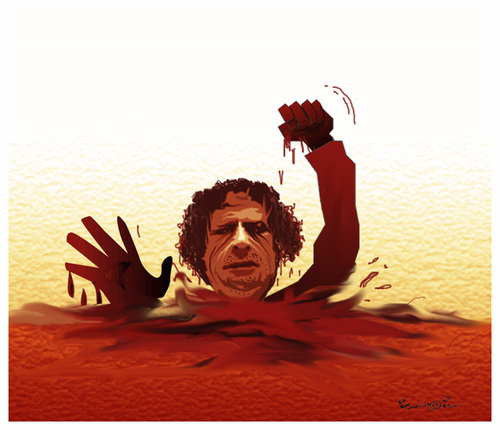 Gaddafi’s graphic last few days were not unlike those of Saddam Hussein of Iraq. His last few hours being injured and captured hiding in a large sewage pipe must have been a far cry from the life he had led for so long as one of the longest serving heads of state and richest people in the world. Saddam too was found near his hometown of Tikrit as he was hiding like a common criminal in a spiderhole when he was caught. In the last few moments of their capture, neither men could not have believed that their worst fears had been realized and their long reign was coming to an end. More rulers across the Arab and indeed Muslim world today must be cognizant of the consequences of their actions as rulers. The revolts of the Arab Spring have now succeeded in changing repressive governments in Tunisia, Egypt, and now Libya. Further east still in Syria an even more brutal dictator in Bashar al Assad must know that his time is coming near and his day of reckoning is a day closer when his countrymen stand up to brutality, repression, and mass murder at the hands of those who are supposed to be their leaders. To be consistent, NATO and Western nations must remain vigilant and oppose the brutality presently happening in Syria, Yemen, Algeria, Bahrain and all other nations of the region and world regardless of strategic and mineral importance simply on the basis of principles and what is right. Only exerting pressure or using force against countries that are either strategically important like Egypt for its Suez canal or oil rich nations like Iraq and Libya for their natural resources will only send the wrong message to many other people in the region who are also yearning to be free. How this change in power happens is not as important as the fact that power changes hands in these long repressive regimes. It does not matter how Gaddafi died, what is important is that he is dead and his death could help gain momentum for the Arab Spring that has now clearly sprung far and wide. The US government has accused Iran of allowing al-Qaeda operatives to funnel a “significant” amount of money through its territory to the group’s leaders in Pakistan and Afghanistan, making the strongest allegation yet of a link between Tehran and the terrorist network. The Treasury Department on Thursday imposed sanctions on six men that it says are operating through Iran as part of a “critical funding and facilitation network for al-Qaeda”. 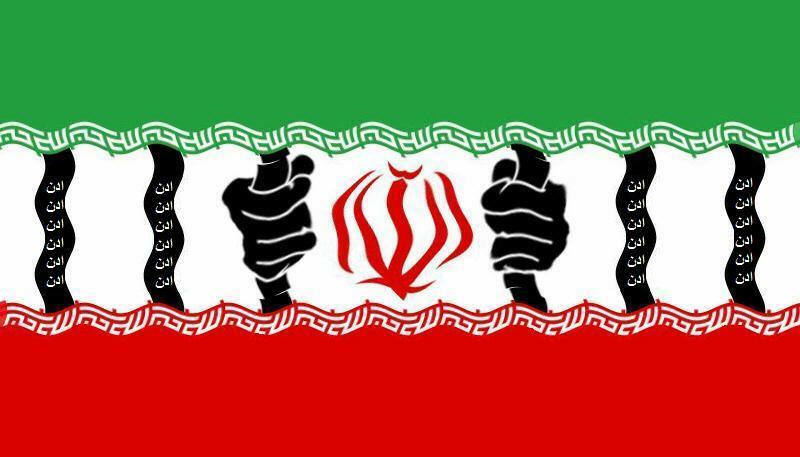 The designation was also a direct hit at the theocratic regime in Iran, said David Cohen, the Treasury’s undersecretary for terrorism and financial intelligence. The Treasury targeted Ezedin Abdel Aziz Khalil, a senior al-Qaeda facilitator who it said has been living and operating in Iran since 2005 under an agreement between the network and the Tehran regime. It said that the Iranian authorities were allowing Mr Khalil to move both money and recruits from across the Middle East through Iran to Pakistan. He required each operative to deliver $10,000 to al-Qaeda in Pakistan, it said. The Treasury also designated five others who were linked to former al-Qaeda leader Osama bin Laden or to al-Qaeda in Iraq, or who had helped deliver money or extremists to the network’s base in Pakistan. They include Atiyah abd al-Rahman, a Libyan who is the network’s overall commander in Pakistan’s tribal areas. The US is also offering a $1m reward for information leading to his arrest. The designations ban Americans from financial dealings with the men, and freeze any assets that they might have in the US. The actions expose “Iranian support for international terrorism,” Mr Cohen said. It is the first time the US has identified signs of agreement between Iran and al-Qaeda. Suggestions of links between Iran and al-Qaeda are often questioned because Iran’s theocratic regime is from the Shia sect of Islam while the terrorist network is entirely Sunni. 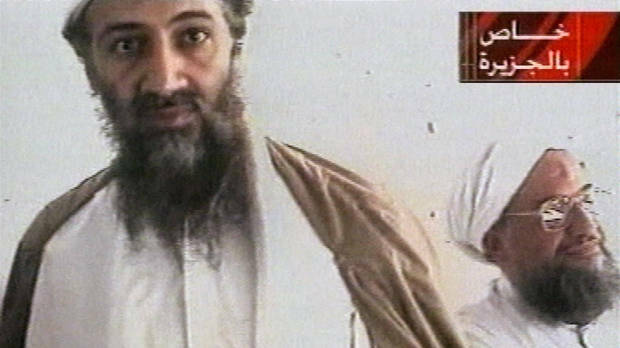 Iran is said to have detained Bin Laden’s oldest son, Saad, for several years before releasing him in 2009. But there have been persistent reports of co-operation between the two given that they share a mutual enemy: the US. A report for the congressional anti-terrorism caucus in May said that Iran’s elite Al-Quds force, part of the Islamic Revolutionary Guard Corps, was offering support to al-Qaeda, including helping it “counter” American interests. In taking the action, the Treasury criticised Kuwait and Qatar for being “substantial facilitators for al-Qaeda” and for having “permissive” financial environments that allowed money to flow from both Gulf countries to Iran. “There is a substantial amount of money flowing out of Kuwait and Qatar through Iran to al-Qaeda’s or their leadership in Pakistan for all of their activities in the Afghanistan/Pakistan area,” Mr Cohen said. The US would work with the UN’s al-Qaeda sanctions committee to push for multilateral sanctions. Among the protest banners in Cairo’s Tahrir Square was a hand-drawn map of the Arab Spring with black target symbols covering each country hit by anti-government uprisings since the leaders of Tunisia and Egypt were ousted earlier this year. A rebel fighter walks in a old and abandoned Catholic Church used by Gadhafi forces as a military camp near Misrata, Libya, on May 25. But the bull’s-eyes could easily be replaced with question marks as the groundswell for change has splintered into scattered and indecisive conflicts that have left thousands dead and Western policymakers juggling roles from NATO airstrikes in Libya to worried bystanders in Syria and Yemen. The stalemates could shift into a deeper holding pattern in August during the Islamic holy month of Ramadan, when the pace of daily life traditionally slows as the Islamic world observes a dawn-to-dusk fast and other customs such as temporary truces. It’s a huge and traumatic undertaking to shove aside regimes with decades in power — and sway over nearly every decision down to who gets hired as street sweeper. Iran did it with the 1979 Islamic Revolution, and the American-led invasion to topple Saddam Hussein cleaned the slate for Iraq and ushered in years of near civil war. But no such wholesale change appears in the pipeline with the present revolts. That has raised concern that even if the leaders fall, the pillars of the regimes could survive, as happened when military rulers took temporary control after Egypt’s Hosni Mubarak stepped down. “Half revolution doesn’t work,” a headline last week in Egypt’s Al-Ahram Al-Massai newspaper said after demonstrators returned to Tahrir Square to press for swifter political reforms and bolder legal action against officials from Mubarak’s regime who were accused of corruption and killing protesters. But even a halfway mark appears farther along than most of the rebellions against the Mideast’s old guard. Cores of loyal security forces in Yemen and Syria keep the regimes hanging on despite relentless protests. In Libya, Moammar Gadhafi could face a moment of truth as rebels press closer to the capital Tripoli and NATO warplanes hammer military sites, yet the anti-Gadhafi militias have no clear leader to prevent possible power grabs to control the country’s oil riches if he is ousted. The country where the Arab Spring began, Tunisia, has been shaken by unrest — including a rise in ultraconservative Islamists — ahead of planned elections in October to elect an assembly that will write a new constitution. Some political groups are urging further delays in the election to give new parties a chance to organize. Egypt, meanwhile, is questioning when — or if — the ruling military council will surrender power. The caretaker rulers effectively announced a delay of the elections on Tuesday when they said preparations for the vote would start Sept. 30. Mubarak is under arrest and faces trial next month over the deaths of nearly 900 protesters in the uprising that ended his 29-year-rule in February. In a transcript of his interrogation published by two newspapers Thursday, he claimed to have had no control over security forces who attacked demonstrators. “No one would have paid any attention to me or my orders,” he said when asked why he did not stop the violence. He claimed he gave clear orders that no force be used against the protesters, and blamed top aides for keeping him in the dark about the gravity of the protests that led to his downfall. Only in tiny Bahrain have authorities apparently tipped the scales clearly in their favor. Security forces — aided by Saudi-led reinforcements — smothered an uprising by the kingdom’s majority Shiites seeking greater rights from the Sunni rulers. A so-called “national dialogue” began this month, but it’s unlikely that the 200-year-old ruling dynasty will give up any significant hold on power and may need a heavy hand to keep Shiite-led protests from reigniting. “It’s not over, but we are in an ugly situation now,” said Christopher Davidson, a lecturer on Middle East and Gulf affairs at Britain’s Durham University. 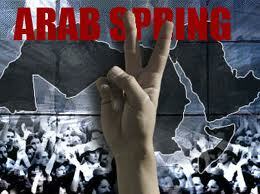 That’s why the definition of the Arab Spring is increasingly being stretched. It’s both about the current showdowns and the long-term spillover. The upheavals — supercharged by the instant communications of the Web — have given the region a crash course in the clout of the streets. The view from the top is suddenly less comfortable. Even monarchs have acted swiftly after relatively small-scale clamor. Oman’s Sultan Qaboos bin Said promised 50,000 new civil servant posts and allocated $2.6 billion for job programs. Jordan’s King Abdullah II has set in motion plans for an elected government in coming years. In the tightly ruled United Arab Emirates, officials have opened the vaults to fund development programs in poorer regions outside Dubai and Abu Dhabi and plan to expand voting rights in September’s balloting for a federal advisory council. It’s been trumpeted as a “great leap” for democracy in a country that jailed five activists just for posting Internet appeals to form a true parliament. “No matter what happens, countries gripped or just touched by the Arab Spring will never go back to what they were,” said Marina Ottaway, director of the Middle East Program at the Carnegie Endowment for International Peace. That leads to the bigger question: How deep can the changes go? Syrian protesters, for example, know that even if President Bashar Assad falls, the underpinnings such as the rank-and-file military and public works staff cannot be purged as well without sending the country into a tailspin. Omar Idilbi, a spokesman for the anti-Assad Local Coordination Committees, which track the protests in Syria, said the opposition has no plans to dissolve the army or even the ruling Baath Party if he is overthrown but will seek to weaken the powers of security agencies. “At the beginning of the uprising when we chanted, ‘the people want to bring down the regime,’ we did not mean President Assad, but the security agencies that interfere in everything from a marriage certificate to the opening of a shop,” said Idilbi, who is based in Beirut. Yemen’s president isn’t even in the country, yet his regime fights on. A blast last month sent Ali Abdullah Saleh to Saudi Arabia for extensive medical treatment, including more than eight operations. But his son, Ahmed, kept the regime’s crucial Republican Guards forces intact. Washington believes no credible alternative exists for the current regime as an ally to fight Yemen’s al-Qaida affiliate, which has been declared a major threat to U.S. interests. But President Barack Obama’s counterterrorism chief, John Brennan, has urged Saleh to accept a proposal that would transfer power to his vice president in exchange for immunity from prosecution. “The current crisis showed that neither side can win,” said Ahmed Obeid bin Dagher, the deputy secretary general of the ruling party. “If there is no national consensus through dialogue, then al-Qaida will be the alternative.” Jordan-based political analyst Labib Khamhawi sees such calls by regime insiders as bids for survival: Protect the system, not necessarily the leader. “I think it will be very difficult to imagine that the Libyan, Yemeni or Syrian presidents will remain in power,” he said. “The faces will be changed, but the system might continue to exist.” Among the kings and sheiks in the Gulf, however, there’s not even room for those concessions. The region’s anchor power, Saudi Arabia, which has not seen protests take off, is staking out a role as “sort of the Arab Spring counterrevolution,” said Shadi Hamid, director of research at The Brookings Doha Center in Qatar. WASHINGTON — The United States will have spent a total of $3.7 trillion on wars in Iraq, Afghanistan and Pakistan, costing 225,000 lives and creating 7.8 million refugees, by the time the conflicts end, according to a report released on Wednesday by Brown University. The report, written by more than 20 economists, political scientists, lawyers, anthropologists and humanitarian personnel for Brown’s Watson Institute for International Studies, gives staggering estimates for the cost of military action in those three countries. Nearly ten years since U.S. troops first entered Afghanistan, the report estimates the final cost of all three conflicts will be between $3.7 trillion and $4.4 trillion — far higher than the $1 trillion price tag referenced by President Barack Obama earlier this year. The report estimates the U.S. government has already spent between $2.3 trillion to $2.7 trillion and will spend at least a trillion more over the next fifty years. In a video op-ed exclusive to HuffPost, some of the report’s authors explained the high costs — both past and future — of the wars. Long-term obligations to war veterans will cause the price tag of the conflicts to climb for decades after troops have returned home. The report puts the cost of health care for veterans at between $600 to $950 billion, not peaking until the 2050s. Because the wars have had no true front-lines, there have been a huge number of injuries, primarily to young people serving in the military. There has been a particularly large amount of casualties in Pakistan, the report says. Even just paying the interest on the United States’ war debt will be a large endeavor, according to the report, at a time when the country is set to exceed its current debt limit of $14.29 trillion. The government has already paid about $185 billion in interest on war spending, and could accrue another $1 trillion — an amount not included in the $3.7 trillion estimate — in interest by 2020, according to the report. “We have borrowed virtually all of the money that has been used to pay for the Iraq and Afghanistan conflicts, and that has been very expensive, adding at least $1.5 trillion to our national debt,” Linda Bilmes, an economist with Harvard University, said in the video op-ed. Now the country is at a decision point, aligned with the current showdown over a deal to raise the debt ceiling by August. “There is immense and urgent requirement to learn from the experience of the past decade and to try to ensure we don’t make the same mistakes all over again,” Andrew Bacevich, a Boston University military historian and veteran, said in the video.